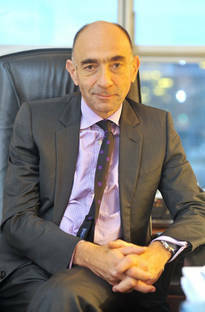 63-year old Jean-Marc Janaillac has been nominated as the new Chief Executive Officer at the Franco-Dutch airline. He replaces Alexandre de Juniac who will become the IATA boss at the end of July, succeeding Tony Tyler. Janaillac is set to be a tough negotiator but has no professional airline background. AF-KL’s future patron Jean-Marc Janaillac is facing many challenges - source: caissedesdepots. Sources within AF-KL expect Janaillac to be an interim candidate because of his advanced age. “He is a guy able to discipline the unions, reducing their vast area of influence in our airline’s business and overcome their blockade mentality, opposing necessary reforms,” told a leading AF-KL manager CargoForwarder Global in confidence. Seeing it from this perspective the carrier’s move to put Janaillac in command, despite his lack of experience in aviation seems to make sense. If not blocked by bullheaded unionists he could achieve success where de Juniac could not; to restructure the airline in order to become cost competitive with rivals, mainly the state subsidized Gulf airlines. The rift between the AF-KL management and the different unions represented particularly in Air France is traditionally very deep. Bridging the gap, CEO de Juniac mitigating tough measures announced by the Executive Board to get the ailing carrier afloat again, failed against the fierce resistance of the trade unions. It will be interesting to see, which strategy AF-KL patron Janaillac will present and set into practice to secure the competitiveness of the airlines by implementing some long overdue reforms without provoking new industrial actions by the French unions. Skills as a persistent negotiator, demonstrated at his previous jobs as the head of the state-owned transport company Transdev and the Parisian public transportion operator RATP seem to have tipped the scales for his appointment by the Board of Air France-KLM. Despite his friendly relationship with French President François Hollande (members of the same class at the renowned school - ENA), sources indicate that he was not the first-choice candidate of AF-KL supervisors. They favored Airbus boss Fabrice Bregier to take the chair at the airline. However, the plane maker’s helmsman turned down the offer.